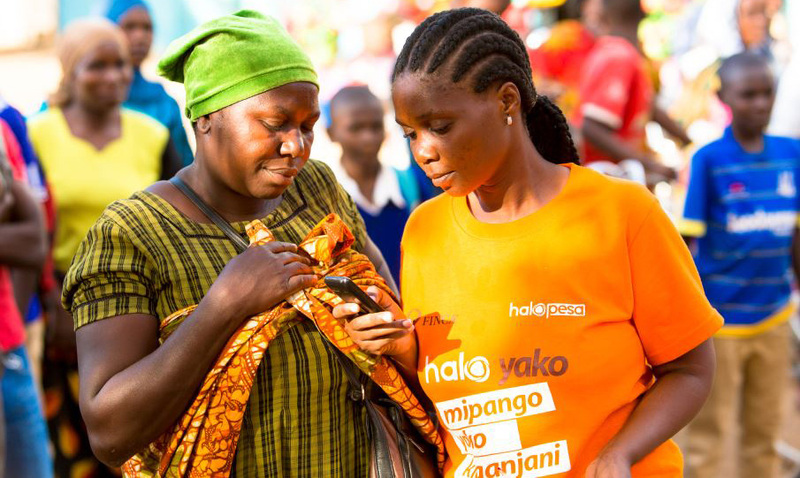 HaloYako is a digital finance product designed by FINCA Microfinance Bank in partnership with Viettel Tanzania (known as Halotel) for mobile customers. HaloYako enables users to save their money safely and enjoy instant access to small loans. 9. Enter your HaloPesa PIN. 10. You will receive a notification for HaloYako successful activation. What is a Halo Loan (Halo Mkopo)? Halo Loan is a short-term mobile loan offered to HaloYako customers for the purpose of meeting immediate financial needs. This is a mobile facility which is unique in the market. It does not require any savings to receive. The customer can access it conveniently and easily at any time. How do I get a Halo Loan? Once the loan request is approved, the disbursed amount will be credited directly to your HaloPesa wallet. In order for a customer to access it he/she must use HaloPesa services. Will it be possible to have more than 1 loan at a time? No, each customer can only have one loan at a particular time. What is the loan period? Can I repay the loan at any time? The maximum loan period is 30 days, the customer can repay the outstanding loan at any time and in any amount. What is the loan cycle? How much am I charged on a particular loan? A fee of 10% of the requested amount will be charged to customers before disbursement. How do I qualify for Halo Loan? In order to qualify for Halo Loan, you need to be a registered user of HaloYako services and be a user of HaloPesa services. Do I need a different PIN to access my HaloYako services? No you do not need a different PIN. Your HaloPesa Pin is what you need to access your HaloYako services. Do not share your PIN with anyone. If I have already registered, what are the next steps? To access HaloYako: It is available via HaloPesa menu dial *150*88# and select 7 HaloYako. Is there any relationship between FINCA loans and Halo Loan? There is no direct relationship between FINCA loans and Halo Loan. FINCA loan is a credit facility offered to FINCA customers. Halo Loan is a short-term mobile credit facility offered to HaloYako customers. Are there any fees on the facility? Is HaloYako available 24 hours? HaloYako is available via your mobile phone 24/7. Can I see my outstanding loan balance? You can check your balance via HaloYako menu, Dial *150*88# to access HaloPesa then choose 7 HaloYako, then select option 3 which is Halo Loan. For Halo Loan balance you can check via Loan Balance menu option 3. In the event I die, what next steps will FINCA/Halotel take and what will happen to my loan? We follow procedures for claims from the beneficiaries through Halotel Customer care, Shops/Head Office.